It was the summer of 1994. I was spending a month on Penn's campus for its Summer Science Academy. Fellow science fair geeks like me stayed in the dorms, ate in the dining halls, and had more fun in four weeks than should be allowed. And every time I turned on the radio, I heard "Regulate." I don't know what it was about this cut from the Above the Rim soundtrack. Maybe it was the familiar Michael McDonald track in the background. Maybe it was Warren G and Nate Dogg's odd rapping style--nice to understand all the lyrics for once, eh? Then cringe a little when you realize what they're talking about. 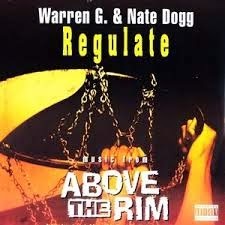 Whatever it was, "Regulate" owned the radio and MTV during the summer of 1994. I'm still not entirely sure what the G-Funk Era was about, but whenever that song came on, I was totally here for the take-over. What's your favorite song that took over the airwaves?